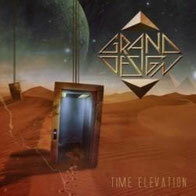 Swedish metal band Grand Design who released the debut album Time Elevation by Metal Heaven Germany last october had a heigh score on every big-name music webzines and magazines of all over the world. It would not be an exaggeration to say that they have rebuilt the 80s Rock'n roll musical field. Its amazing Pelle who is a singer and a producer in the band started to write a song in 2006. 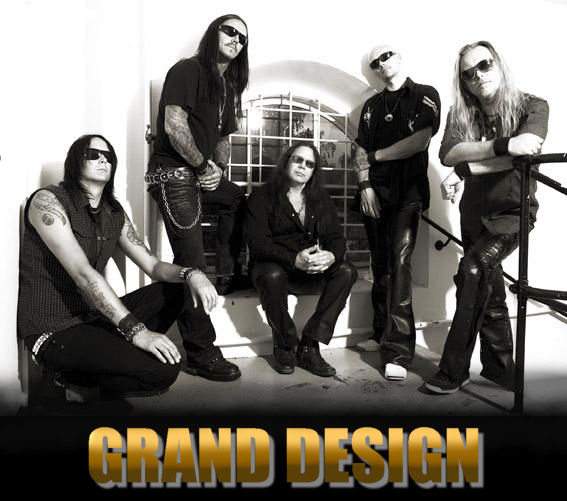 The members from left are Dennis Vestman (Guitars), Richard Holmgren (Drums), Pelle Saether (Vocals), Peter Ledin (Guitars) and Anders Modd (Bass). Here is the first video of Air It Out from the album, it just has been upload on May 13th 2010. You can enjoy the catchy sound and Pelle's great voice. They told me the fire on the floor is real one.